My great-grandmother was a spitfire of a lady. She had her quirks, but she also had her sentiments. I always remember, every card I ever received from her was signed, Love and best wishes. I thought that was perhaps the sweetest and most heartfelt way to close a note or letter. I remember watching her sign cards for others with a shaky hand and determination in her eyes. Maybe sending off a year with the same message is a nice close as well. I’m looking forward to a fresh start. It always feels good to have a transition that feels like it brings new life with it. 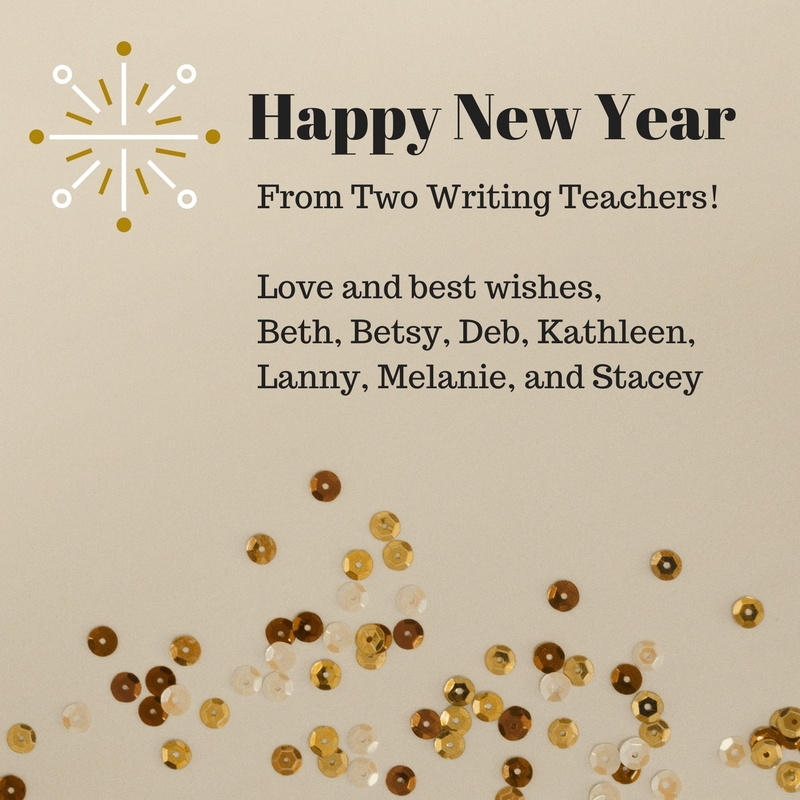 So, to 2017, I say “love and best wishes,” and from all of us at Two Writing Teachers we wish you a wonderful holiday season and new year. But don’t worry, even though there won’t be any new posts from now until Monday, January 1st there is plenty to read from our archives as well as so much to look forward to in 2018 when we return! Melanie will kick off our One Little Word series for 2018 this year. We hope you will be thinking about your OLW and maybe find inspiration from our previous OLW choices. Meet back here in January to see the big reveals throughout the first week of the month as we all share what word we’ve each chosen to live by for 2018. Mark your 2018 calendar for our February Blog Series titled, Beyond the Fundamentals of Writing Workshop which will start on Monday, February 5th, 2018. If you are looking for posts from any previous blog series check out the list below! Check in on Tuesdays as Melanie will continue to host our weekly call for Slice of Life Stories through the month. If you have been thinking about joining, winter break is a great time to share your first Slice of Life Story. Simply write your story on your personal blog, share the URL on Tuesday in our comment section, and leave at least three comments for other bloggers. 2018 marks the 11th anniversary of the Slice of Life Story Challenge and we look forward to sharing more about this exciting time here on Two Writing Teachers when we commit to writing daily for thirty-one days! Follow us on Twitter. Many of us will be learning and tweeting over the winter break. Rest, relax, and enjoy time with your loved ones! While you do, collect story ideas for future Slice of Life ideas. Wishing you all a wonderful holiday and some well deserved rest and relaxation! Thanks for all that you do! BTW: I need to narrow down my olw list. It’s up to 15 words. Thank you for giving us a place to share our voices in 2017, a year that called for expression and courage. It has been a comfort to know that there is a “community of educators” out there who share similar values and are determined to give students the best chance they have at becoming better people…and writers! You are a “gift” to all of us who participate. Happy New Year! Best Wishes to all of you! Enjoy your time with family and friends! See you in the New Year!! 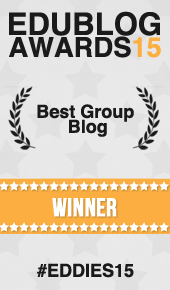 I have two friends/colleagues that love this blog so much! Any suggestions for a great book about writing that I could get them for the holidays? We have reviewed and featured many wonderful resources on our site over the years. You might find a great idea in our archives!